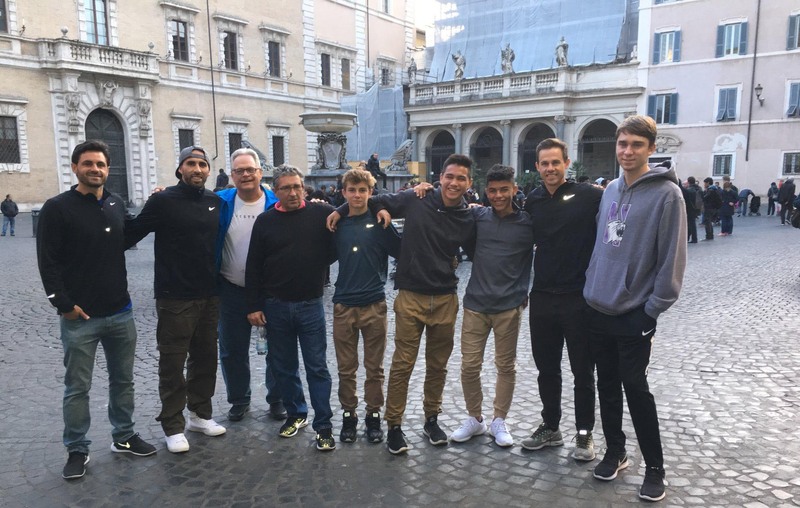 As part of our partnership with AS Roma, a group of Chargers (4 players & 5 coaches listed below) have traveled to Rome, Italy to work with AS Roma from March 18th through March 24th. More detail will be provided, but as photos and updates come in, they will be added here. 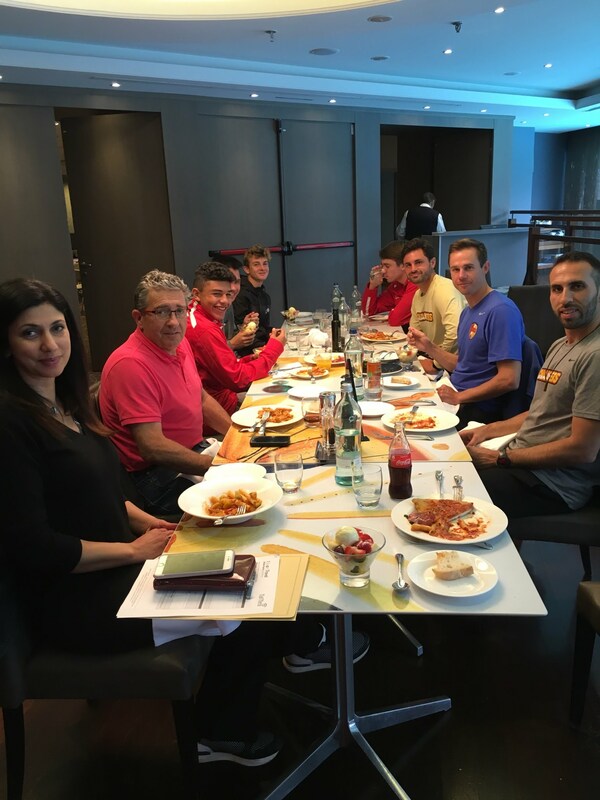 First meal in Rome at our hotel Sheraton Shazia, Rome, Italy. 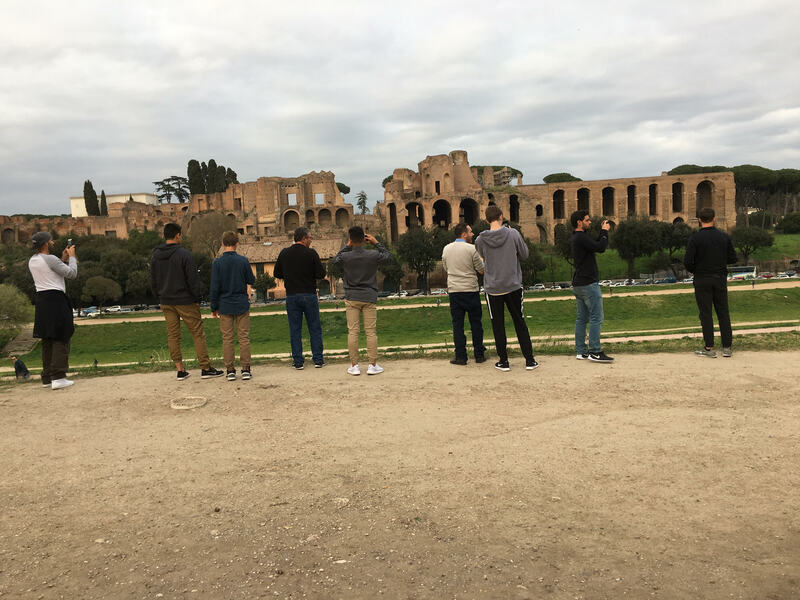 Ruins where chariot races were held. Everyone taking photos. 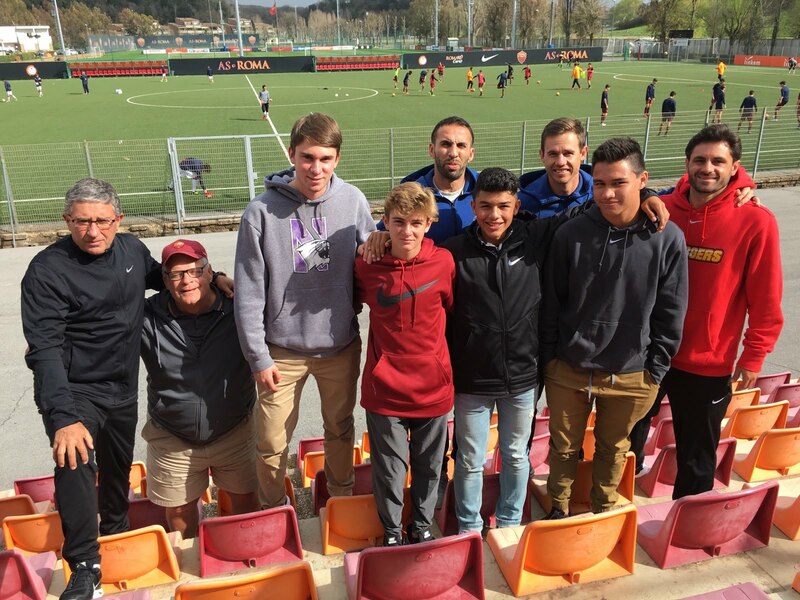 The Chargers at AS Roma U16 and U15g games at The Trigoria training facility Tonight Serie A game at the Olympico Stadio! 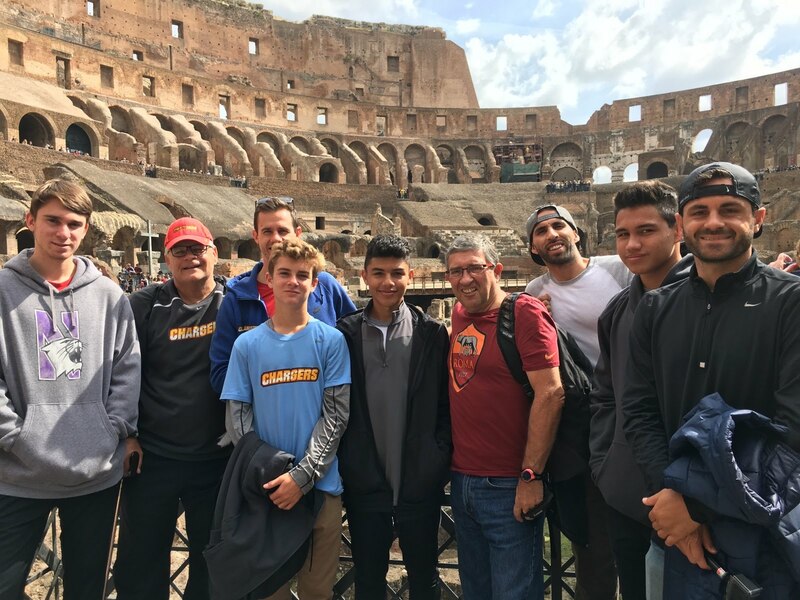 Day 3: The Chargers visit the Colosseum and Ancient Rome. Soccer Training in the afternoon! 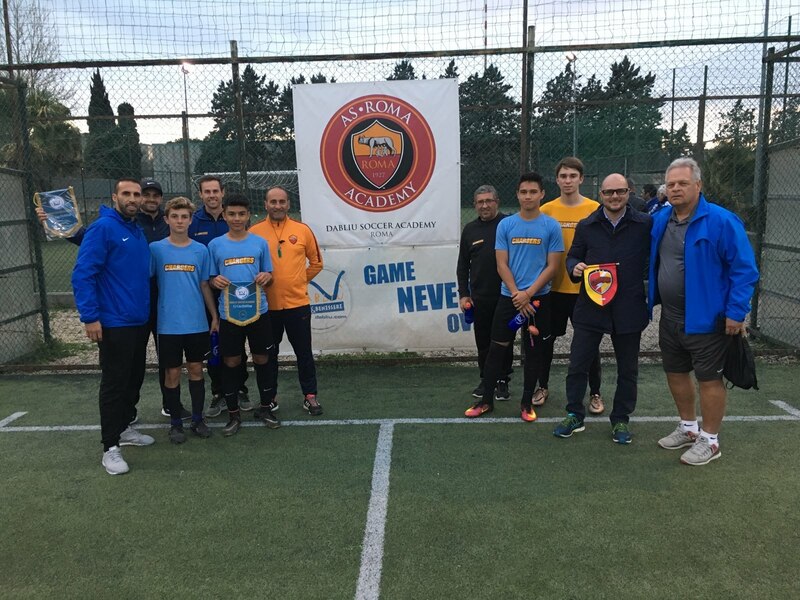 Chargers visit and train with the 2001 Dabliu Academy in Rome on Monday evening.